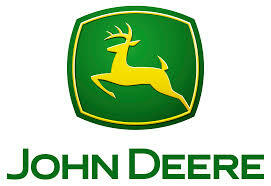 68th Annual Steam Show and Reunion will Feature John Deere! The 68th Annual Meeting of the Miami Valley Steam Threshers will take place from Thursday, July 13 to Sunday, July 16 in Pastime Park in Plain City. This year, the 2017 show will feature John Deere. As always, the Grand Parade through downtown Plain City will take place on Friday, July 14 at 6 pm. There will also be lawnmower races on Friday night and truck and tractor pulls on Saturday and Sunday. The Ohio Village Muffins will play against the Plain City Baseball Association coaches on Friday at 7 pm. General admission is $5 at the gate. Thursday is $2 admission for senior citizens. Children 12 and under are admitted FREE with an adult. Annual membership is $15 and includes two show passes. For information, visit the Miami Valley Steam Show web site HERE. For a complete schedule, go HERE. 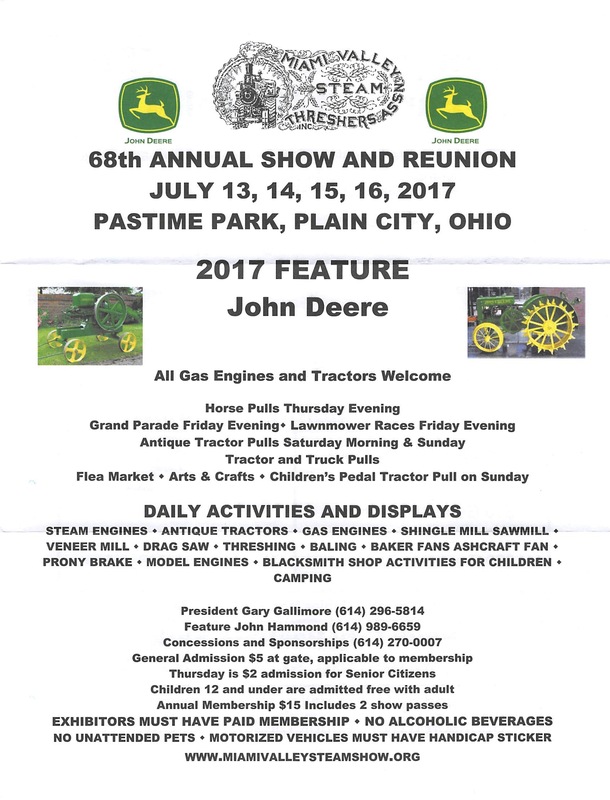 Additionally, please visit the Plain City Lions Club booth at the Steam Show for their sausage sandwiches and bratwursts. 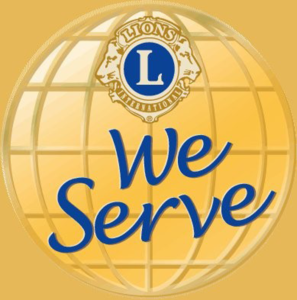 The Lions stand is a huge charitable money maker for the Plain City Club and allows them to carry out their good deeds throughout the year. All of the money raised at the Steam Show goes back into the local community. The Lions Club Stand is open from 6 am to 10 pm and they also serve breakfast. You can get pancakes, sausage, biscuits and gravy, and eggs (any way you like them). Save the Date! 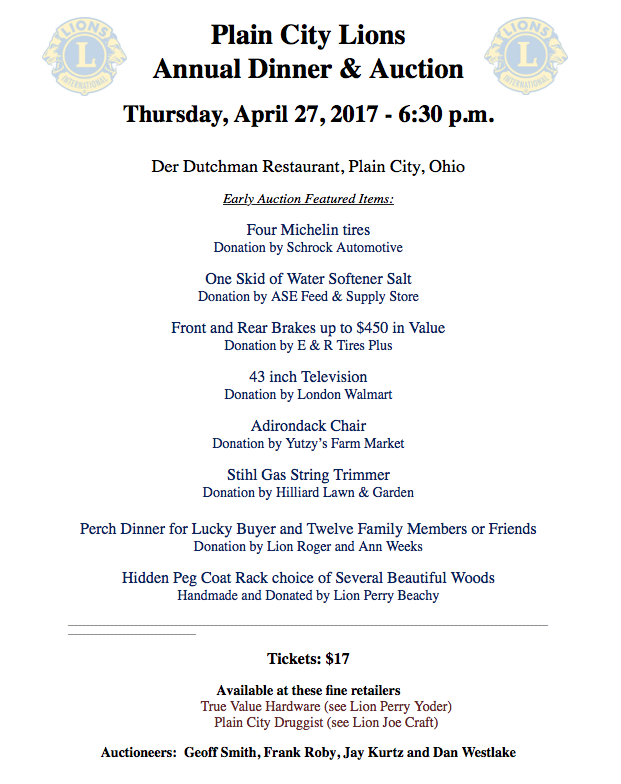 Plain City Lions Club Annual Auction and Dinner is Thursday, April 27 at 6:30 pm. Save the Date!!! April 27 will be here soon! You can bid on several great items at the auction including: Four Michelin tires donated by Schrock Automotive, one skid of water softener salt donated by ASE Feed and Supply, a Stihl gas string trimmer donated by Hilliard Lawn and Garden, a Lake Erie perch dinner for the lucky buyer and twelve other family members and friends (courtesy of Captain and Lion Roger Weeks and his wife, Ann), front and rear brakes up to $450 in value by E & R Tires Plus, a hidden peg coat rack with a choice of several beautiful woods handmade and donated by Lion Perry Beachy, a 43 inch television donated by the London Wal-Mart, and an Adirondack Chair donated by Yutzy’s Farm Market. 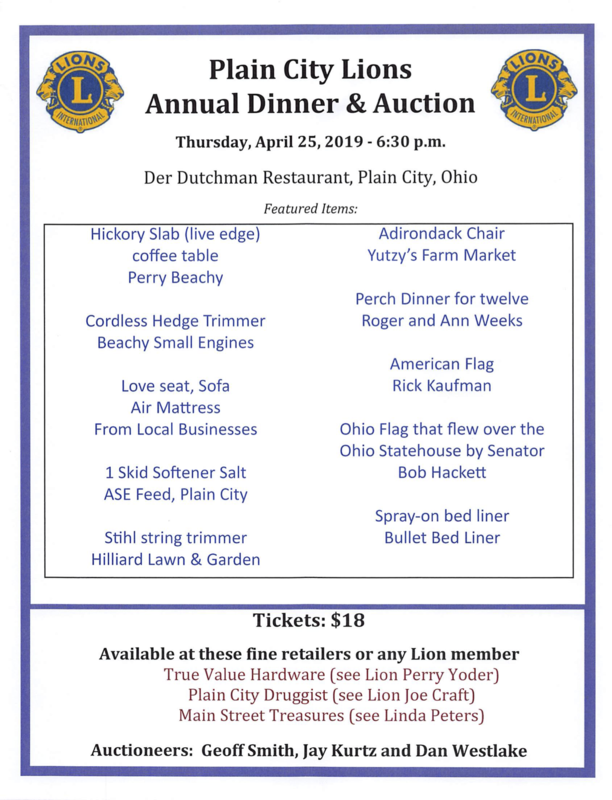 The Lions Club Annual Dinner and Auction will be held on Thursday, April 27, in the Banquet room at Der Dutchman Restaurant in Plain City at 6:30 pm. Tickets are $17, which includes a family style dinner and entry to the auction. The meal will be served at 6:30 pm. Doors open at 6 pm. Tickets can be purchased at True Value Hardware (see Lion Perry Yoder) or here at the pharmacy (see Joe). The auctioneers this year are Geoff Smith, Frank Roby, Dan Westlake, and Jay Kurtz. 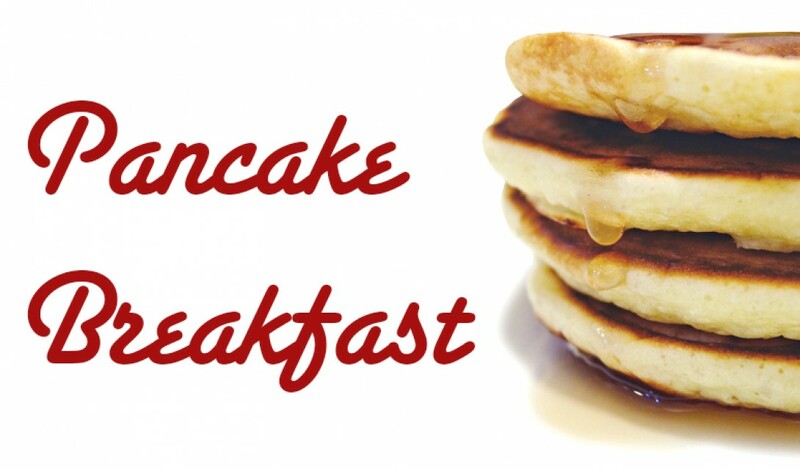 All You Can Eat Pancake Breakfast to Benefit the Plain City Lions Club is Saturday, April 8 from 7 am to 10:30 am. 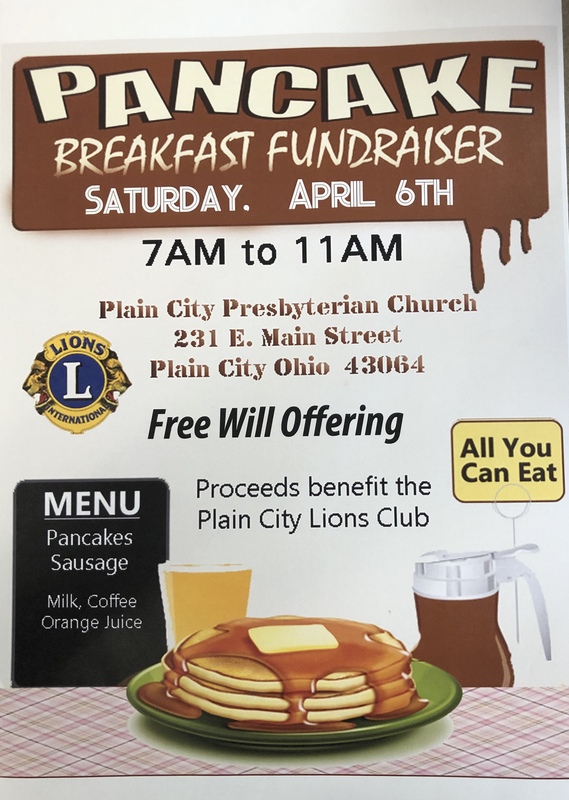 Join the Plain City Lions Club on Saturday, April 8, from 7 am to 10:30 am at the Plain City Presbyterian Church (231 East Main Street) for an “All You Can Eat” Pancake Breakfast. The cost is $6 for children 6 and older and for adults. Advanced tickets can be purchased here at the drugstore and at Yoder’s Hardware. Or you can just pay at the door. 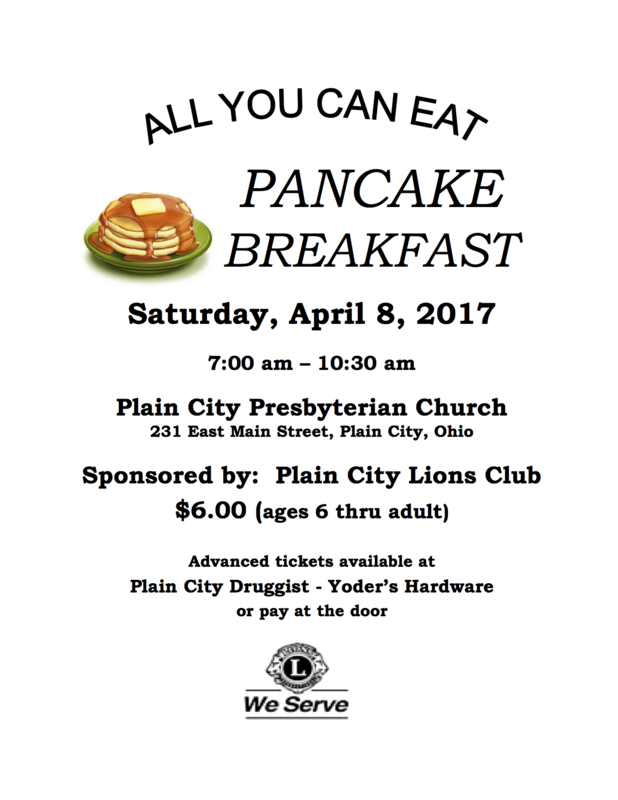 So come out with your appetite and support the Plain City Lions on April 8. We hear that Roger Weeks will be flipping pancakes and he is a tremendous cook! YUM! !